drivingandlife: WHEN COMING 4TH, IS WINNING! 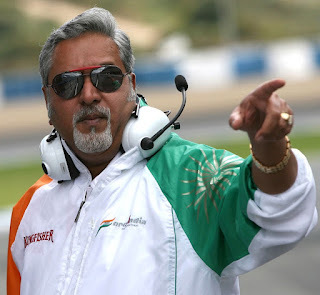 Following the wrap of the 2016 Formula One season, I was going to post a story highlighting the great achievements of the Force India F1 team, owned by Indian businessman, Vijay Mallya. 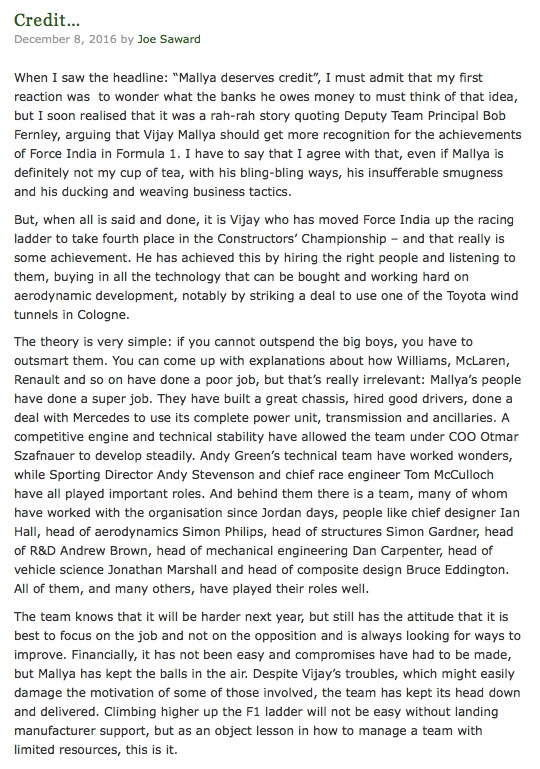 As I have said before, I've had the pleasure of getting to know Vijay and I have a soft spot for the team. It is made up of a great range of talents, who perform as a team. 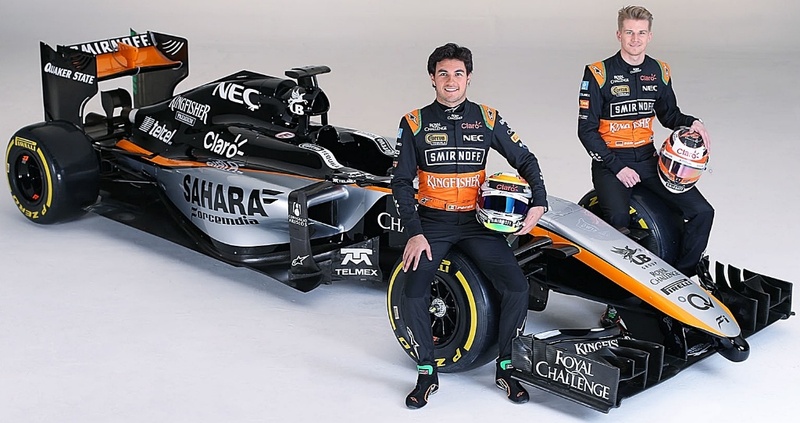 This year Force India finished 4th in the Constructors Championship, behind the 'big guys' - Mercedes, Ferrari and Red Bull. No mean feat for a private team. However, rather than pen my own tribute, I think my friend Joe Saward, F1's leading writer and commentator, sums it up best in his lastest Blog post.